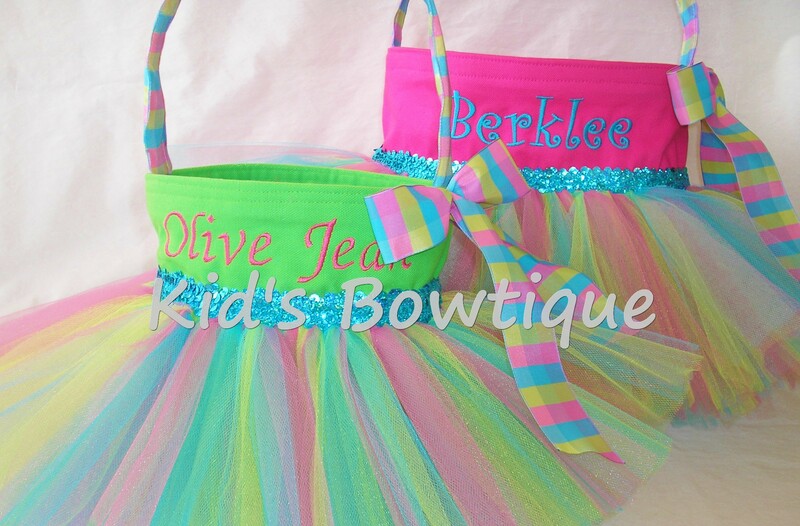 Kid's Bowtique has designed Easter Basket Tutu Bags perfect to use as an Easter egg basket. We converted our regular tutu bag to a tutu BASKET bag. This tutu basket bag has a single handle rather than 2 bag straps to make it easy to grab Easter egg. It also has a more rounded shape than our tutu bags. Bag is made of canvas for durability, tulle tutu for uniqueness, and choice of sequins/ribbon/bow for color. Delight a sweet girl with this unique personalized tutu Easter bunny basket.